The long-running Hard Rock Cafe has had rock and roll history imprinted on its shiny, ligneous walls — both literally and figuratively, what with its priceless collection of signed posters and instruments, and bragging rights of events it has hosted over the past two decades (In their 90s quasi-grunge prime, Mr. Big and Def Leppard held acoustic gigs there). But, as always with elder establishments, the cafe has made way for the new: LCD screens, a substantially polished interior, a brand new collection of memorabilia and an extensive menu to boot. 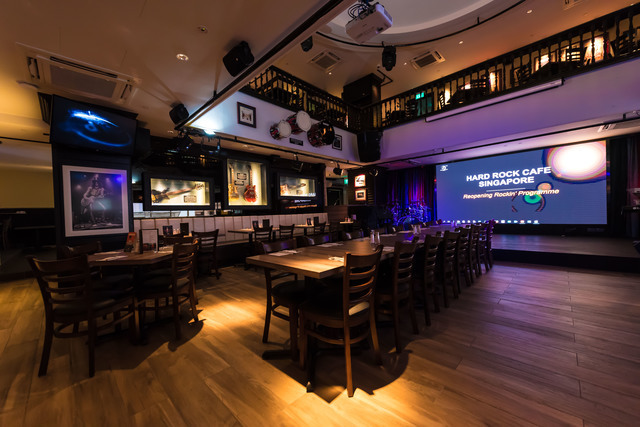 There may not be a suspended Cadillac to greet you outside anymore, but Hard Rock Cafe retains its main interior that has hosted generations of music fans under one roof. With all of this, we couldn't say no to be a part of Hard Rock Cafe's new lease of life. We see it as another opportunity to provide a stage to some of the brightest and most exciting acts our little island has right now. The people behind Hard Rock Cafe were more than happy to accommodate us, and after some deliberate coordination, we'll now be presenting live acts at Hard Rock Cafe every Wednesday, under Bandwagon Nights. Bandwagon Nights will feature a line-up of acts that have been personal favourites for a while, and some that have especially been noteworthy within the past year. 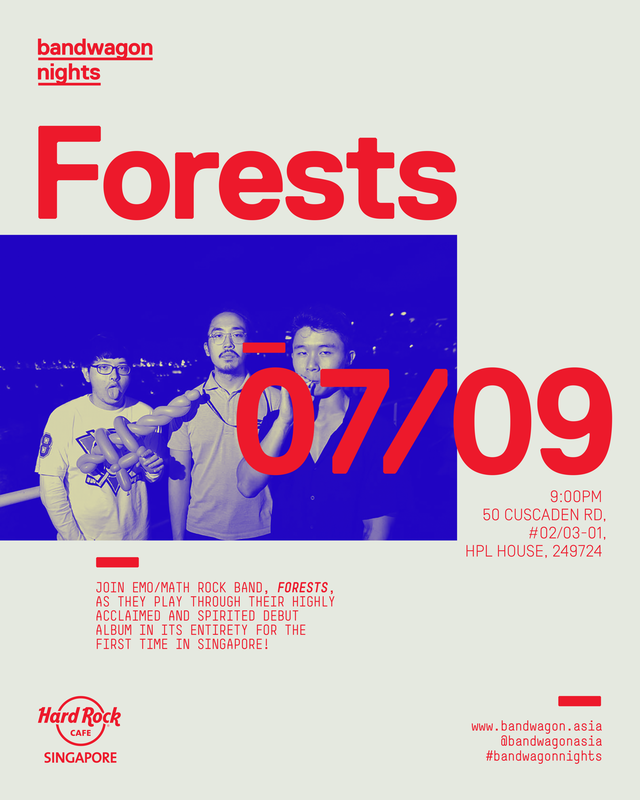 On this note, we couldn't think of an act more apt to kick off the series than Forests, whose debut LP, Sun Eat Moon Grave Party, is undoubtedly one of the most fun and exhilarating rock records we've heard this year — from any country. The band will be playing the album front to back on September 7th at Hard Rock Cafe — entry is free, and there will be no cover charge. But we've also learned from personal experience that it's hard to step into the Cuscaden Road establishment and not order something, so we've teamed with them to give you exclusive F&B promos for every Bandwagon Night here on out. More details on that soon!